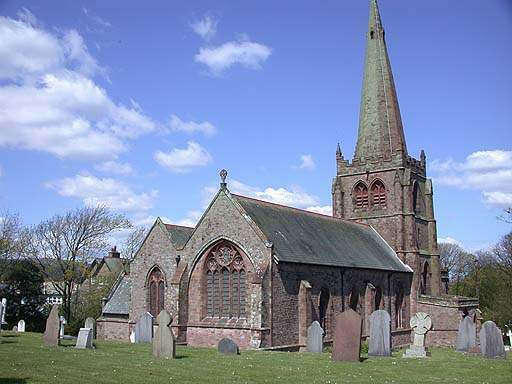 The new St George’s Church was built in 1874-7 by Paley and Austin, and is a sign of the industrial prosperity of the town. A memorial window to Norman Nicholson, the writer and poet who was born in Millom, designed by Christine Boyce, has recently been added to the Church. The imagery in the window is based on Nicholson’s poems and prose. An information leaflet links the panels to local scenes, such as Black Combe and Hodbarrow, and his writings, such as ‘Caedmon’. 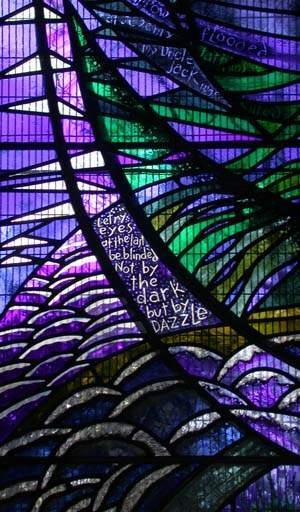 There is another modern window by Christine Boyce at St Mary & St Michael’s Church, Egremont.